82-year-old Viktor Korchnoi is set to play top-level chess again, a little over a year after suffering a stroke that some feared would put an end to his chess career. The indomitable Russian features on the starting list of players for the 37th Zurich Christmas Open, a 7-round event where the top seed is currently 2711-rated Radoslaw Wojtaszek. 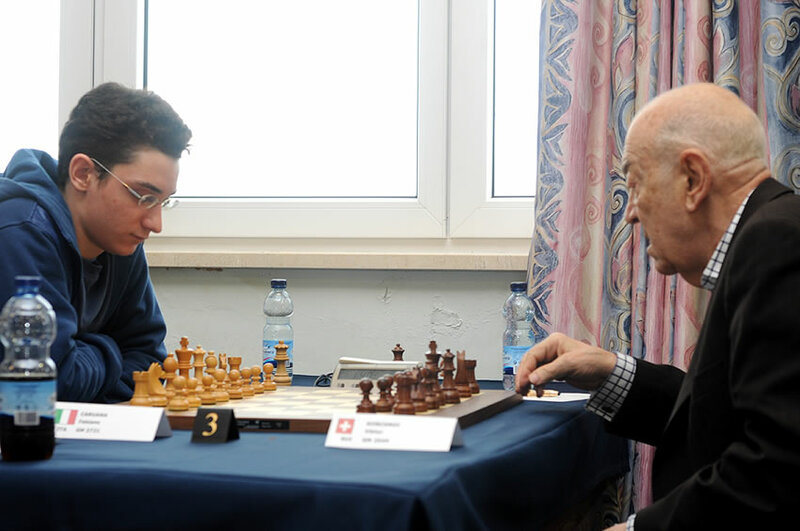 UPDATE (26/12/2013): Sadly the official website is now reporting that health reasons have forced Korchnoi to remain at home rather than take part in the tournament. We wish the legend a quick return to health! Korchnoi’s dedication to chess is the stuff of legend. 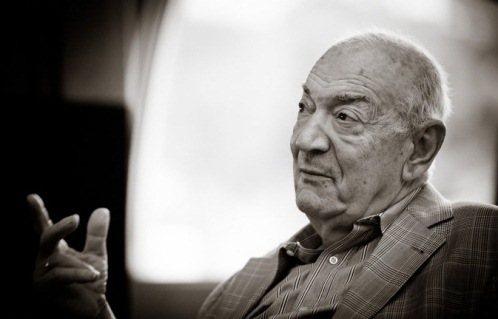 As we write in our chess24 profile Korchnoi is often considered the “strongest player never to become World Champion”, but he’s continued to amaze chess fans right into his 9th decade. Murad Amannazarov: Rubinstein said that he worked on chess for 300 days a year, played for 60, and rested for 5. How do you compare to that? Viktor Korchnoi: It seems I work more on chess than Rubinstein, and even on the days when I’m supposed to be resting I rest with a chessboard. Could you describe your normal working day? I work as long as a chess game lasts. In my day a chess game lasted at least 5 hours, so you’d work 5 hours. Now they’ve made chess quicker, so you have to play for around 4 hours, and you can also work 4 hours a day. I try to do that every day. In my current situation, as you can see, I can only play in the building where I live. In Switzerland, however, there’s a strange attitude to chess tournaments – they’re rarely held and there’s no money. But perhaps I’ll nevertheless play at the end of the year. In the same interview Korchnoi is his usual irascible self, starting one answer about the world no. 1, “You know, I don’t have a very high opinion of Carlsen”. Of course I was extremely surprised by Garry Kasparov. It’s a great pity that he quit chess – that’s for starters. I can’t understand why. Secondly – he quit Russia. Kasparov abandoned chess before reaching the age at which I achieved a lot of my success. The “Zürcher Weihnachtsopen” is a 7-round tournament running from Thursday 26th-Monday 30th December, with no rest days and two days with morning and evening rounds - considered an ordeal by most young chess players, never mind octogenarians!